Here is H.C. on his last trip before retiring. We would love more info from his friends or family to add to his photo in our Historic Slaton and Harvey House photo gallery. 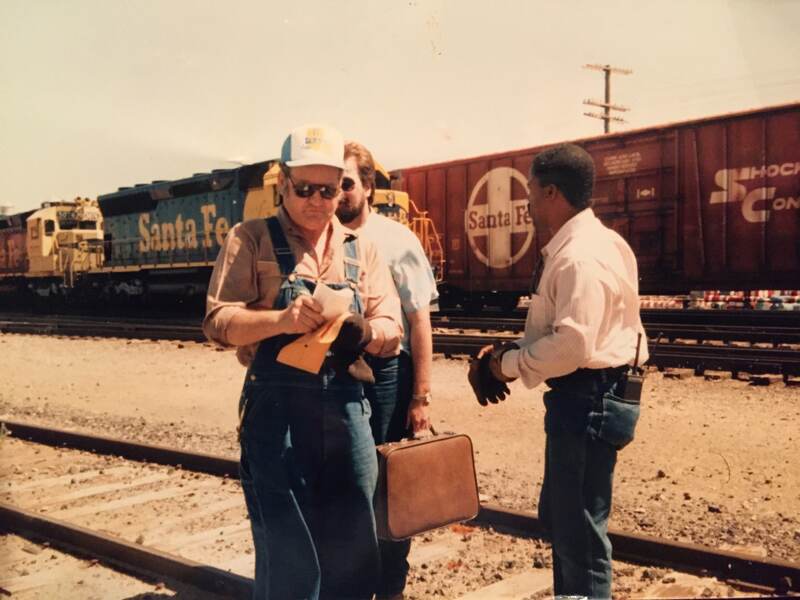 To everyone, please send us any of your photos of past or present Santa Fe railroaders! Post to our Facebook page by linking here https://www.facebook.com/SlatonHarveyHouse, or send to gculver@ebrainsinc.com. Help us to honor our Slaton railroad heritage and legacy. From his last trip before retirement from the Santa Fe. Before joining the railroad, he was also a barber at and owner of the Imperial Barber Shop in Slaton.